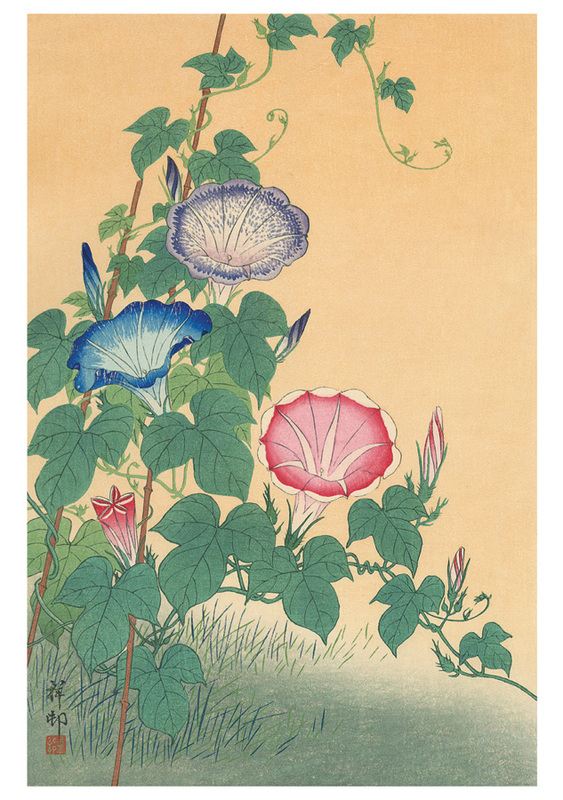 Early in his career, Shoson (Japanese, 1877–1945) studied painting under noted Tokyo artist Suzuki Kason. But he also took up printmaking, and today he is best known for his work in that medium. 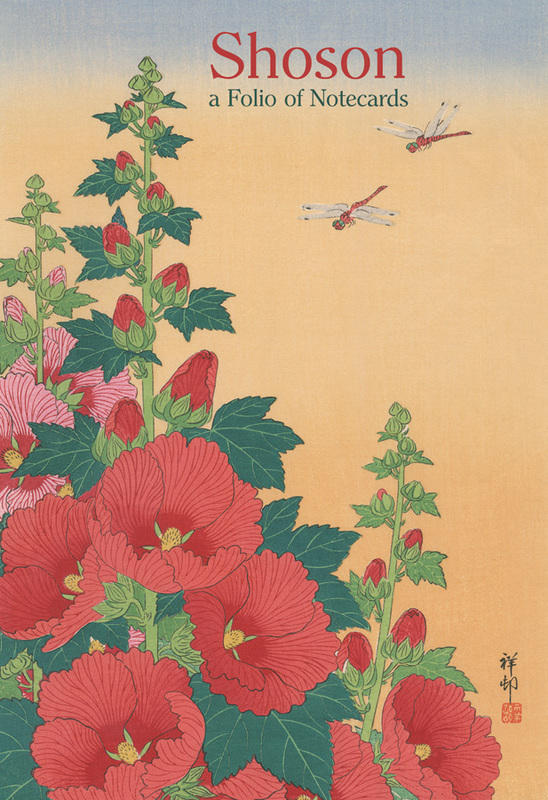 While still a young man Shoson began teaching at the Tokyo School of Fine Arts, and there he first developed contacts for exporting his work—primarily kacho-e, or prints of birds and flowers—to the West. Around 1926 he began an association with the great print publisher Watanabe Shōzaburō, a leading proponent of the colorful, Western-influenced shin-hanga (new prints) style, which was slow to catch on with Japanese audiences but found a ready export market in the United States and Europe. The collaboration of Watanabe and Shoson was a fruitful one, and Shoson’s overseas sales increased. His breakthrough came with two shin-hanga exhibitions at the Toledo (Ohio) Museum of Art in 1930 and 1936—two of the largest displays of such art ever presented at that time. 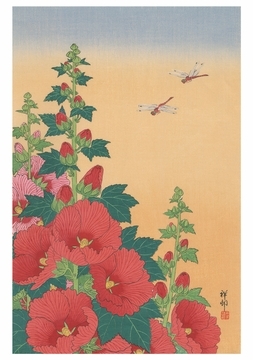 Shoson’s outstanding sales at those shows made him a well-known name in Western art circles. This was his most prolific and successful period, and Shoson produced hundreds of beautiful kacho-e prints such as the two reproduced in this folio of notecards. Long after his death, Shoson’s prints began to be appreciated by scholars and art collectors in his native country; at that point much of his work could be found only in the West.